Hi loves! How are you today? How's the weather where you live? It is finally Summer here so yay ♥. I love good weather! 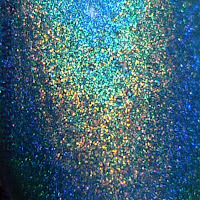 Today I have for you one of the prettiest holographics ever! This is China Glaze DV8, part of the famous OMG collection. I actually bought this once for around $1.. the bottle has polish spilled over it from another bottle, but it was still full and usable so I didn't mind at all obviously! DV8 is a gorgeous blue color that has some green undertones, they don't really show in my pictures. 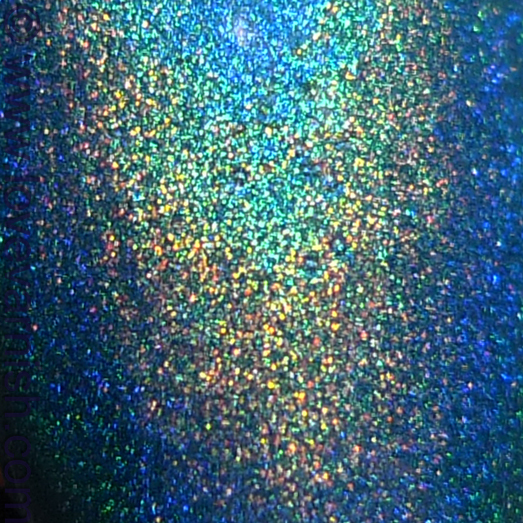 The holographic effect is very visible, even with topcoat! I like that you can use topcoat because they are a bit dull without sunshine or another bright light source. It applied easy, I used 2 coats over Duri Rejuvacote. The only thing you have to be careful with is that the first layer should be put down with as minimal brushstrokes as possible. Don't worry too much about small bald patches or anything, the second coat will cover it! Do you own any or maybe ALL polishes from the OMG collection? Which one would you still love to have? I'd like to get my hands on LOL.. such a beauty! This is such a gorgeous color. I'm sure I will never find it anywhere but every time I see a swatch, I practically drool! It's gorgeous! And! I just bought it - it's on the way to me in the mail, yay! I'm amazed by this polish and this collection. One of my biggest lemmings!! Maybe, one day you'll bump into it! Hopefully you'll come across it one day! Thanks Annie! And 2 LOL's.. you know where to send your spare ;-)! Ooooh that's great! Hope you got it at a good price! Thanks Kelly! I want to have more haha. You don't have any? I hope you find some of them sometime! I hope you find it one day! Thank you! BFF would be a great addition too :). It's pretty right :D glad to hear you own it too!